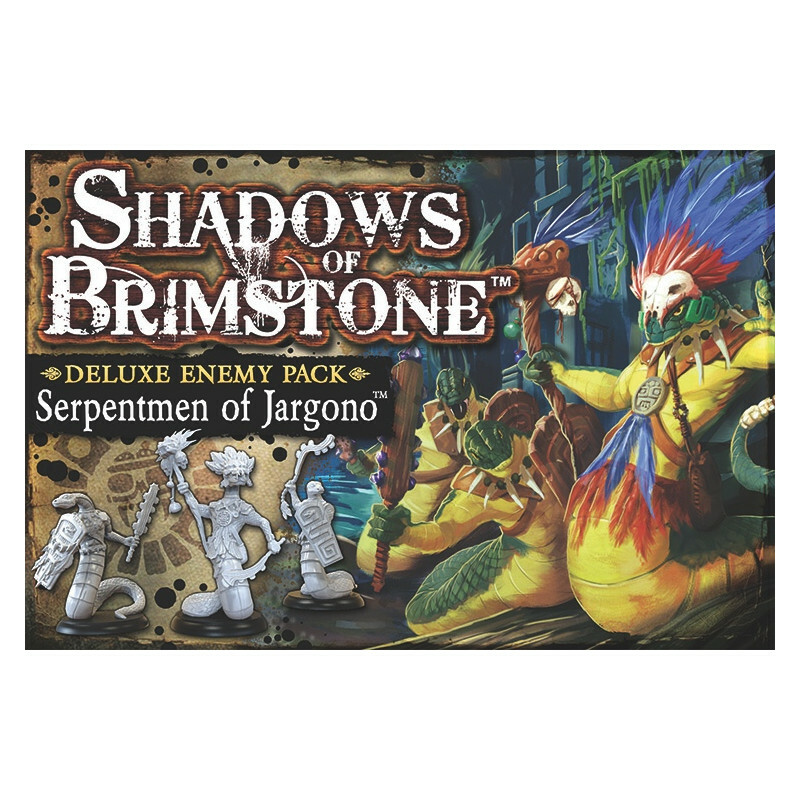 Rulers of the murky swamps of Jargono, the savage Serpentmen take objection to your intrusion into their world. 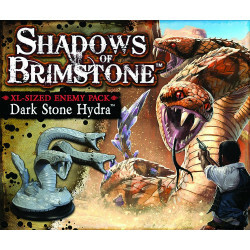 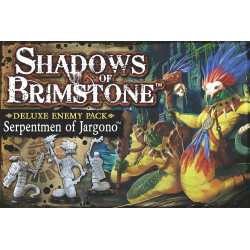 The Shadows of Brimstone: Serpentmen of Jargono expansion adds the Serpentmen Warriors (6) and a Serpentman Shaman (1) as Enemies along with threat cards for both the Swamps of Jargono and the Mines. 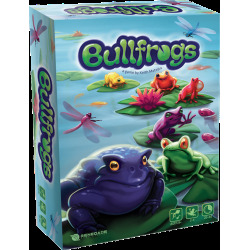 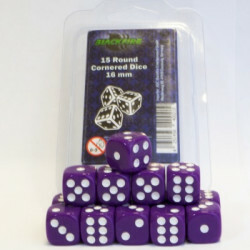 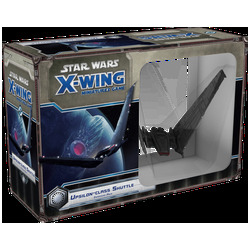 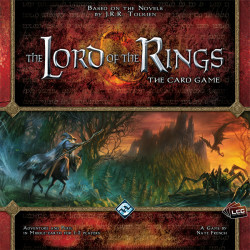 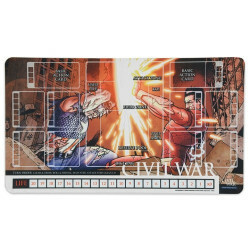 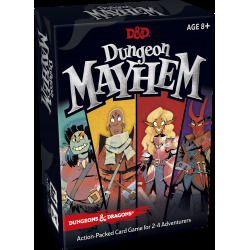 As the Flying Frog image used here shows, it is labelled a Deluxe Enemy Set; however, the 2015 GenCon Preview was released as a Deluxe Enemy Pack.